This place is amazing! We lived on the east side of town so every day we’d walk past this Fisherman’s wharf and every time would be a surprise! 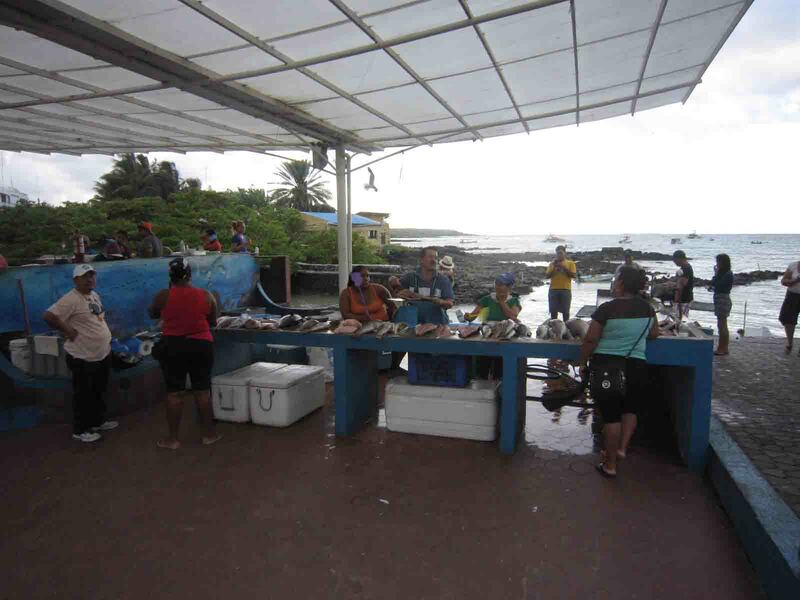 It’s a little wharf where fishermen bring their catch of the day to clean and sell but it’s always bustling with activities. On our first day, as we walked past the wharf, it was a bit quiet but what caught our attention was the pelicans. We saw three of them hanging around and since it was our first time seeing them, we were pretty excited! 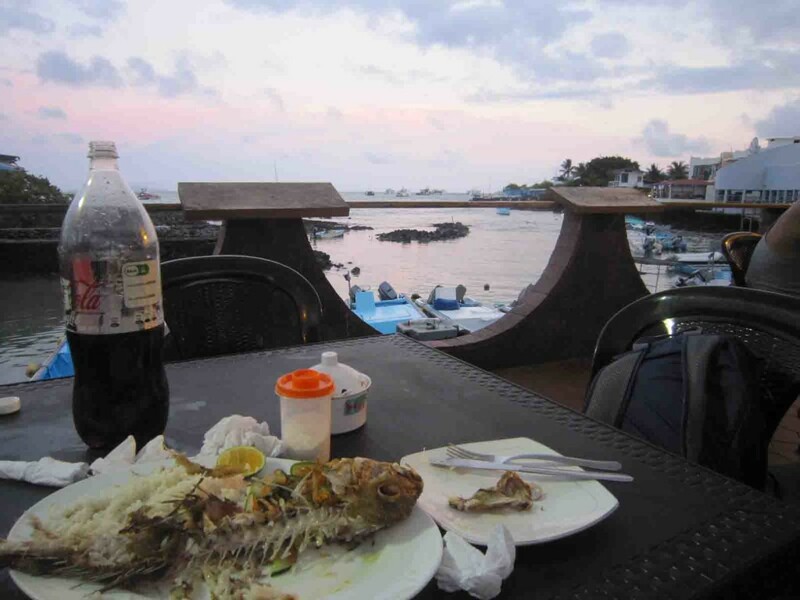 We continued our journey to explore the town center of Puerto Ayora and on our way back, this time, the fishermen came back with their catch of the day and the wharf got pretty packed. 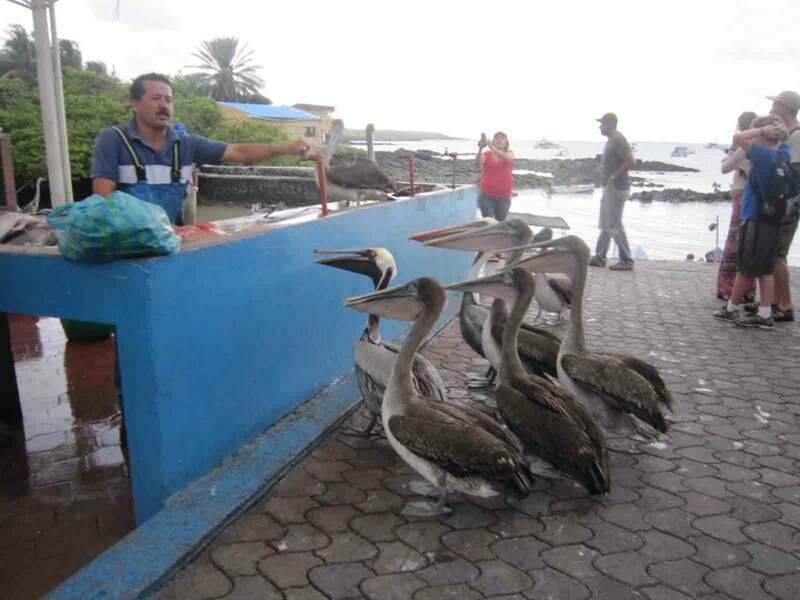 There were tons of pelicans lurking around for food, hoping to get some scraps from the fishermen. 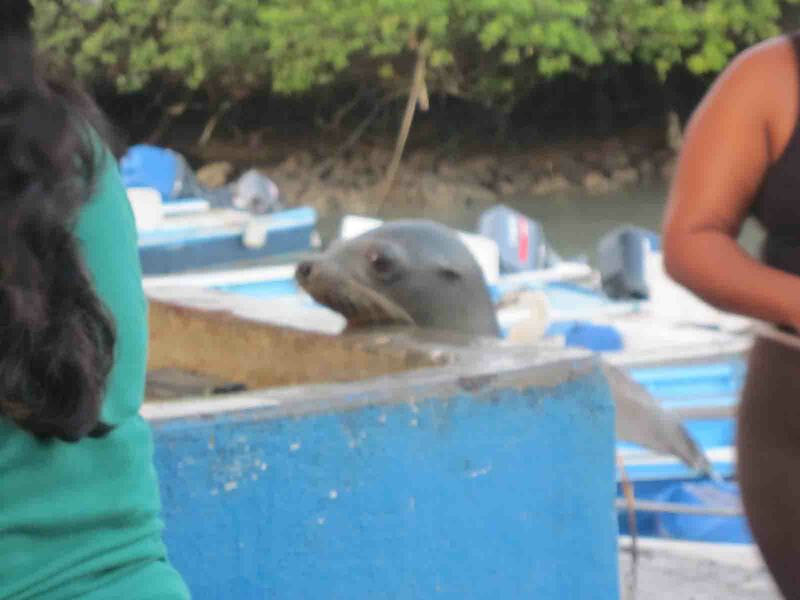 The next day, we walked past the wharf again to see what new adventure awaited for us and this time, there was 2 sea lions there! 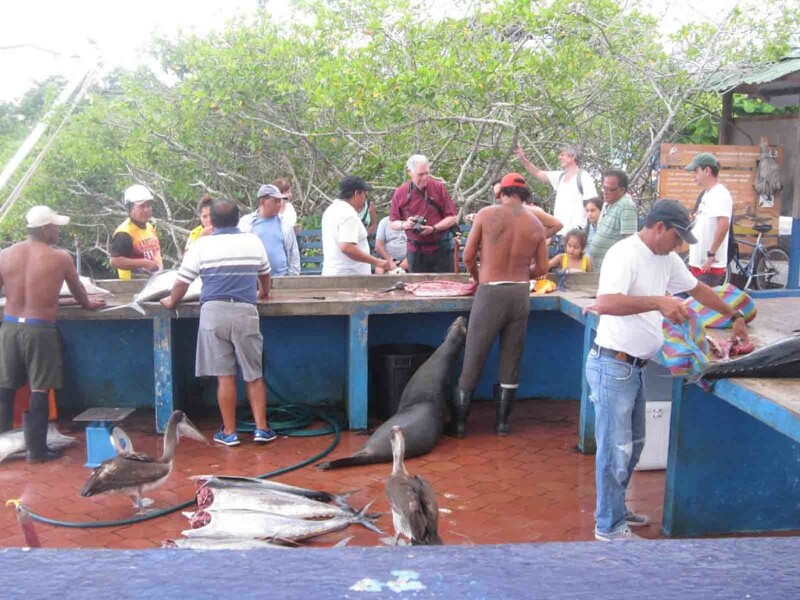 A group of fishermen just got back to shore and were in the process of cleaning up their catch. 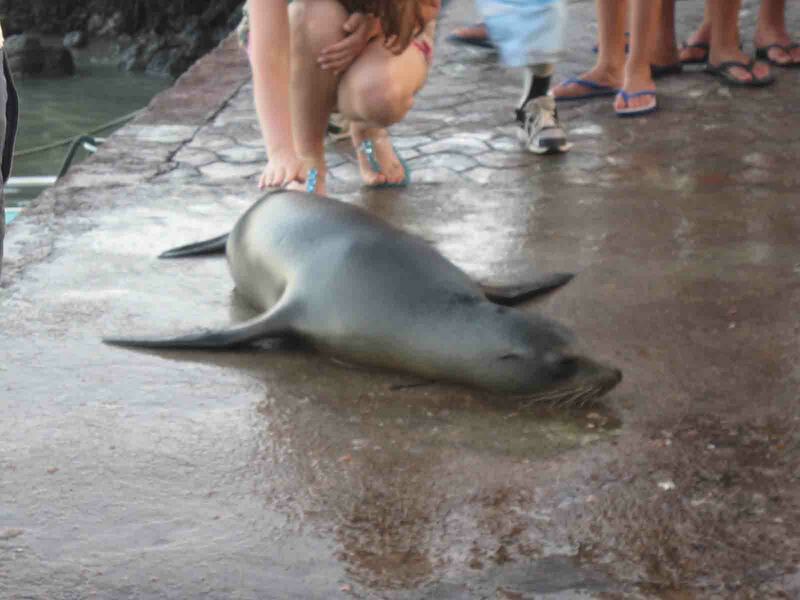 The 2 sea lions were not afraid of the humans at all and even laid down next to them to ask for food! 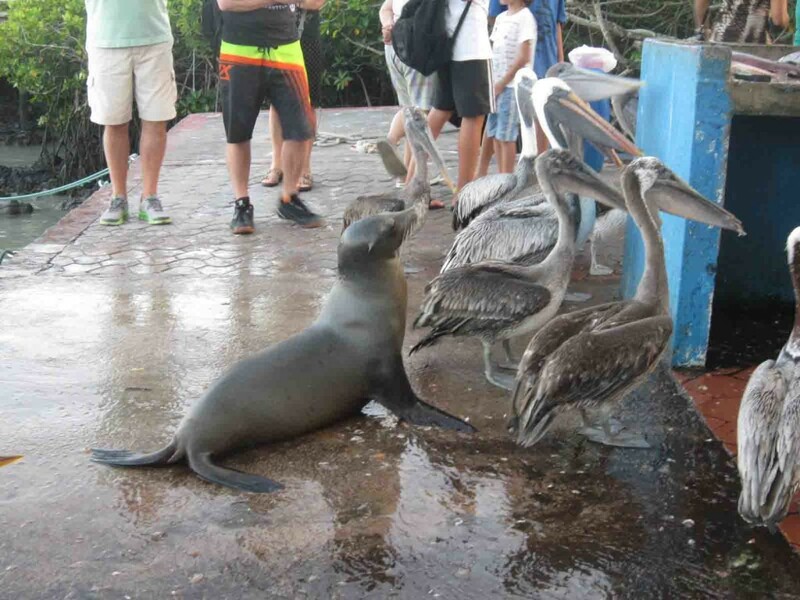 One of the sea lions was so smart that when he noticed the fishermen wasn’t paying attention, he got up and stole a fish right off the counter! See it in the video below! 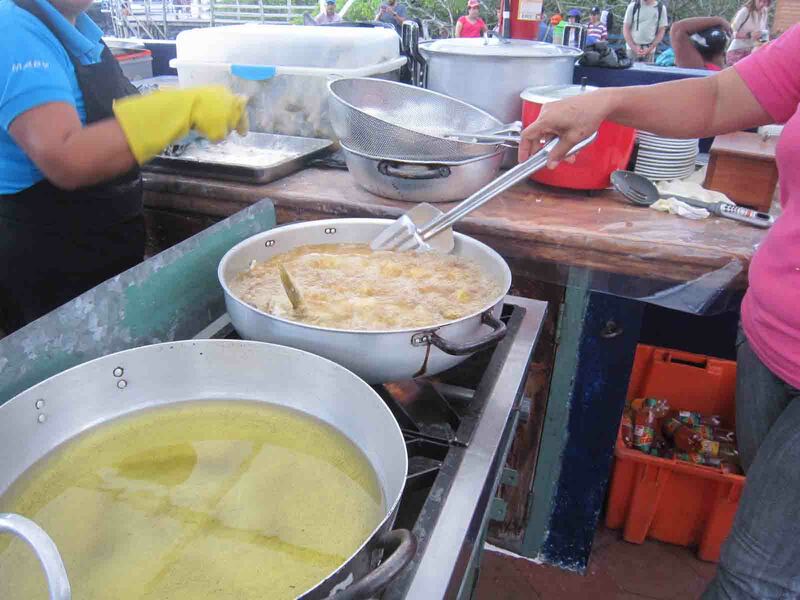 Another amazing thing about the Fisherman’s Wharf is during the weekday near sunset, some locals will setup an outdoor kitchen with huge frying pans as well as some plastic tables and chairs to sell their freshly fried fish for dinner. 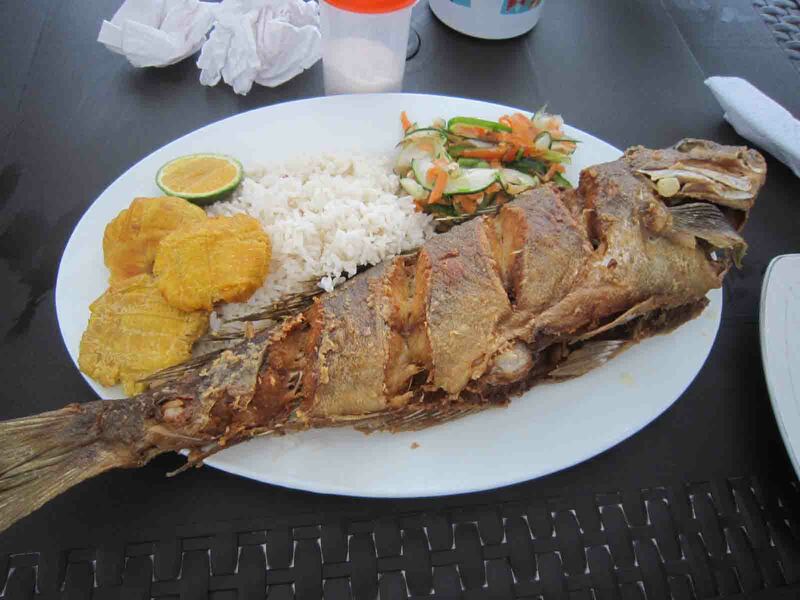 It’s a simple menu, fried fish (the locals called the fish camotillo, which is also known as large sea bass) + salad + plantains and it was simply delicious! The price varied depending on the size of the fish so for the both of us, we got one large camotillo to share…and it only cost us USD$15!!! Incredible!! This is definitely a must do when you stay in Puerto Ayora! Every time we walked by, something new was happening…it definitely didn’t lack one bit of action!